The European Association of Patients Organizations of Sarcoidosis and other Granulomatous Disorders (EPOS) is a non-profit and independent and non-governmental association of European people suffering from Sarcoidosis. Members are national patients’ organizations. EPOS uses the so far unused web domain ”sarcoidosis.biz” because all other international domain suffixes were already used or blocked for commercial reasons. The EPOS website is designed by Sarcoidosis Sufferers for Sarcoidosis Sufferers. The information on Sarcoidosis and other Granulomatous disorders as well as on the Sarcoidosis patients associations provided by EPOS is intended for educational purposes only. It should not be used for diagnostic or treatment purposes. For more detailed information on particular diseases or for any specific medical questions or problem you may have, contact your personal physician. Before you make any decisions or form any opinion you should talk to your doctor about your individual circumstances first. While EPOS takes every care to ensure that the materials, information and data (together the ’Materials’) provided on this site (the ’Website’) are accurate and up-to-date, we must emphasise that the Materials are provided ’as is’ and without warranty or guarantee of any kind, whether express, implied or statutory, or whether relating to title, the rights of third parties or otherwise. EPOS reserves the right, at its absolute discretion, to add, revise or remove any Materials without notice. The Materials are designed for general information purposes only and EPOS assumes no responsibility for information contained in the Website and disclaims all liability in respect of such information. Those who choose to access the site (the “Users”) shall assume all risks of use and shall indemnify and hold EPOS, its directors, officers, employees, and agents harmless from and against any and all damages, liabilities, losses, costs, and expenses, including reasonable attorney’s fees, arising out of or related to use of information, services or products offered and/or presented on this Website. EPOS makes no warranty that the Materials are free of infection by computer viruses or other contamination, or that data or information is created and structured in files that are technically error-free. The downloading of any of the Materials is at the individual user’s own risk and the user will be solely responsible for any damage, loss, or problems, whether suffered by the user or a third party in consequence of the user’s actions, which results from a download and/or use of any such Materials, or from any linked external sites. EPOS is not responsible for any content of any other website accessible from the Website, nor does it endorse or in any respect warrant any third party products or services by virtue of any information, material or content referred to or included on, or linked from or to the Website. If the EPOS Website may contain online forums, or other message or communication facilities, EPOS is not responsible for the content or quality of contributions by internet users, including those users designated as “Forum moderators.” Opinions expressed by Users do not necessarily reflect the opinions of EPOS. EPOS maintains that online forums and other message facilities are not replacements for individual counselling, or consultation with a health care professional. The User specifically acknowledges and agrees that the EPOS is not liable for any conduct of any other User, including, but not limited to, the types of conduct listed above. The host server for the Website is located in Germany, and the applicable law in respect of the Website shall be the laws of Germany only. This disclaimer is not intended to limit the liability of EPOS in contravention of any requirements laid down in applicable national law nor to exclude its liability for matters which may not be excluded under that law. The Materials are protected by copyright and all other rights (if any) are reserved. Incorporation of all or any part of the Materials in any other work or publication, whether paper or electronic media or other form, is expressly prohibited without the prior written consent of EPOS. the User informs third parties that they are subject to and must comply with the conditions of this Website. This permission is, however, revocable at any time by EPOS. Acknowledgement of the source must cite EPOS as copyright holder and the uniform resource locator (URL) of the Website (© EPOS, www.sarcoidosis.biz) The User may not modify the materials found on the EPOS Website without the permission of EPOS (info sarcoidosis.biz). The User may not copy otherwise, republish, lend, post on servers, transmit or redistribute to (mailing) lists this information for commercial purposes or for compensation of any kind without prior written permission from EPOS. Some of the materials in the EPOS Website may contain references to materials from third parties for which copyright must be honoured. A User who maintains an external Website can include hyperlinks to the EPOS website or to any of its pages on that external site, without having to ask permission. However, this use must not infringe EPOS’ rights, in particular relating to its logo, acronym and intellectual property rights. A link should not be used for the promotion of any commercial products or services. EPOS retains the right to revoke permission to link to the Website at its absolute discretion. External links to the EPOS Website do not constitute an endorsement by EPOS of the external site. EPOS does not collect any unique information about you (such as your name, e-mail address etc), except when you specifically and knowingly provide such information (for example, forum registration or Newsletter subscription). By providing personal details you are consenting to its use. Such personal information will be used to identify you as a unique user, and the information will not be shared with any other entity or organisation, unless you have specifically requested us to do so. Cookies are used in the private BackOffice area of the website. Access to this area is limited to authorised content contributors. Cookies in the BackOffice are not used to collect personal information or to track movements. They do allow a Webmaster or section coordinator to monitor the status of content contributions on the basis of individual contributors’ identities. BackOffice cookies also serve functional purposes to enable a contributor to add content to the site, enhance the usability of the BackOffice for the contributor, and allow communication among contributors. Each time a visitor comes to the EPOS website, we collect some basic technical information. We use software to keep track of traffic to our site and acquire such information as the location from which the traffic originates and which particular pages within the site are being viewed and for how long. We may know for instance, that we had 100 hits and 40 individual visitors to our website today, but we do not know their names, addresses, or other personal information. With whom does EPOS share information? EPOS will not share personally identifiable information with any third party without your express consent. This site has security measures in place to protect the loss, misuse and alteration of the information under our control. Security is the responsibility of our hosting company. EPOS has a contract with the company to ensure that personal data is protected by passwords, firewalls and other security. 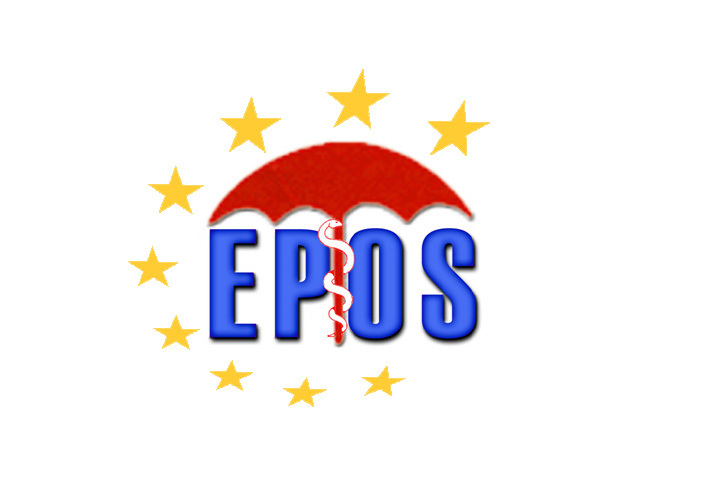 EPOS is not responsible for the privacy practices or the content of web sites external to the domain “sarcoidosis.biz”. If you have any questions about this privacy statement, the practices of this site, or your dealings with this website, you may contact: info@sarcoidosis.biz.